The Rev. 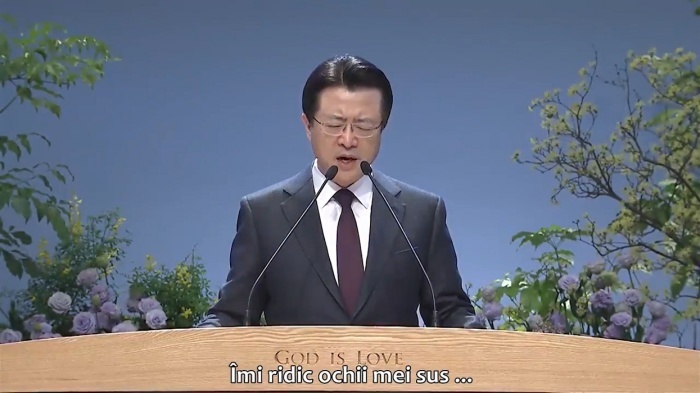 Oh Jung-hyun, pastor of the 60,000-strong Sarang Church in South Korea, has lost a Supreme Court case against several church members over an internal leadership battle. The more than decade-long battle stems from 2003, when Oh was appointed as head pastor by the Eastern Seoul arm of the General Assembly of Presbyterian Church in Korea, The Korea Herald reported. Plaintiffs against the pastor’s appointment lost their petition in the lower courts, but the Korean Supreme Court remanded the case in April. The court found on Wednesday that Oh is indeed recognized as a pastor of the Presbyterian Church in America and probationer in the General Assembly of Presbyterian Church in Korea, but failed to pass exams to qualify as a pastor under the general assembly. Chosun.com noted that the 37th Division of the High Court of Civil Rights found that Oh "did not have the ministerial requirement set by the denomination." The nine church members who filed a lawsuit in 2013 against the pastor argued that Oh did not successfully graduate from Chongshin University Graduate School of theology and pass the examination of the presbytery, which is a necessary qualification. Opposing the ruling, Sarang Church argued that the decision breaches the separation of church and state. “[The ruling] contradicts the separation of church and state, freedom of religion guaranteed by the Constitution, and the precedent set by the Supreme Court that matters related to religious orders’ autonomy and internal relations, in principle, are not subject to judicial review,” the church contended. The church is considering appealing the case. Christianity Daily reported in March that Oh was a friend of the world famous late evangelist Billy Graham. Oh traveled to meet Graham in North Carolina, where the two discussed the Korean reunification issue. Graham said during the 2008 meeting that he hoped to see the reunification of South and North Korea, noting, "The reunification comes from God. Pray to God. The reunification will be surely actualized if your prayer is suitable for God's will." On its website, Sarang Church says that it is guided by five ministry visions, namely glorifying God, living as Jesus' disciples, being one in the Holy Spirit, vitalizing the community and evangelizing the world. It adds that Oh's "basic ideas of pastoral work lie in discipleship training through which one man can be a real disciple of Jesus. He focuses on the discipleship training by stressing concentrated life."